Don't let the word 'acid' scare you from trying out products with hyaluronic acid. It is far from the harsh burning or peeling that can come to mind. When used in skin care and cosmetology, Hyaluronic Acid helps to keep your skin plumP, smooth, and hydrated, giving it a supple look. I mean, hyaluronic acid naturally occurs in the human body, we just lose more of it as we age. That is why using products with hyaluronic acid in them helps keep your skin looking young and fresh (thank you Dr. Oz blog for all the info!). So, when I saw that this was some sort of mask with this ingredient in it, I knew my skin would really appreciate it. 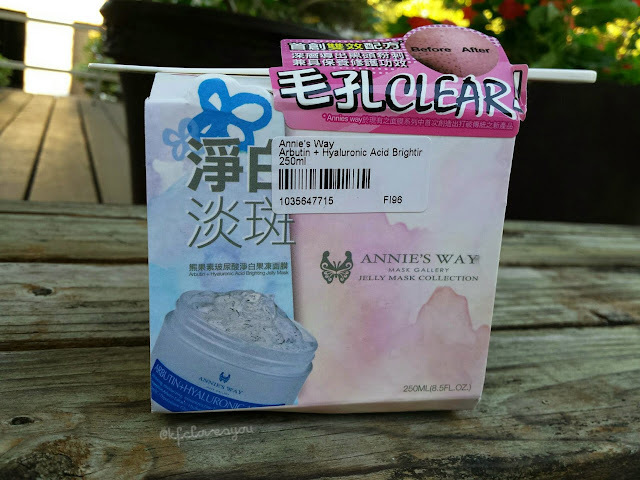 "whitening, moisturizing, minimizes fine lines, leaves skin radiantly bright. 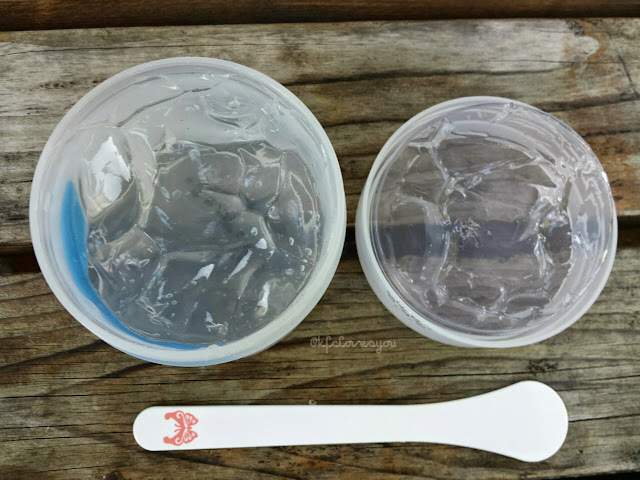 Suitable for dark and dry skin"
Here's a look at how the before and after should be. This is definitely the most unique mask type product that I have ever worked with. It isn't a clay one where it hardens, and it isn't a peeling type mask either. As you can see by the pictures above, the product is clear and very goopy/jelly like. 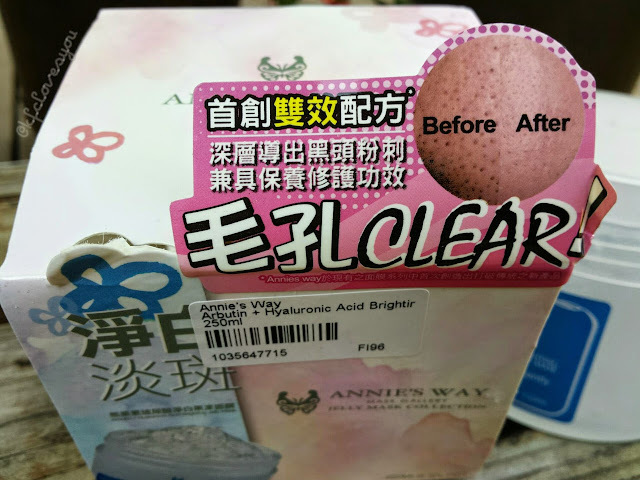 It does not change in color as you apply it or after using it. As for the directions, the outside packaging comes with directions, but they're all in Chinese, so unless you can read it, you may have to guess how it works, but fear not, the actual jar itself has directions on the back in English! 2) Apply product on face with a thickness of 0.3 to 0.5 cm evenly on face by using the spatula. 3) Leave for 30 to 40 mins, after your desired time, remove the jelly mask by scraping it off with the spatula and using a tissue to remove it. 4) Rinse face with water and apply moisturizer as you usually would. Here's how the product looked on me after I applied. It wasn't the best application or smoothest but it worked out fine! This is the after part of me removing the jelly mask. I used the Mario Badescu Rose Water spray as my toner and used my usual Kracie Moistage Triple Essence Cream as my moisturizer afterwards. My initial thought when I tested out this product was how messy it was to use. When you apply it with the spatula, you really don't want to use your fingers to spread it, even though it may be easier. The feeling and slimey texture is weird on your fingers and is a lot harder to wash off when it is so thick! As you wait the 30-40 mins, the product doesn't change as it is on your face. It stays that same jelly-like consistency as it does it's work. Taking it off was a bit messy too. You have to scrape it off (it is way better than just washing it off right away, it won't wash away properly when you just rinse with water) with the spatula and after each scrape, you have to wipe it away with a tissue, which is a bit messy too. I would recommend trying to get off as much as it that you can with the spatula and even going in with another tissue to wipe off the excess on your face before you rinse with water. After the first use of this product, I wasn't sure how I felt about it because I noticed the next morning that I had a few blemishes pop up, but I wasn't sure if it was because of this product or just my skin getting back used to Seattle weather after my recent trip. I, of course, tried this product another time that same week and the following day, no break outs! So, I knew it wasn't this product. I did notice that my skin was super plump every time I used this and it felt very hydrated. I have continued to use this for almost 2.5 weeks now, about 3 times a week, and I have to say my skin is indeed moisturized and glowing/brighter after I use this. I can't say I notice anything on the whitening or seeing any fine lines reduced, but those may take longer use to notice. 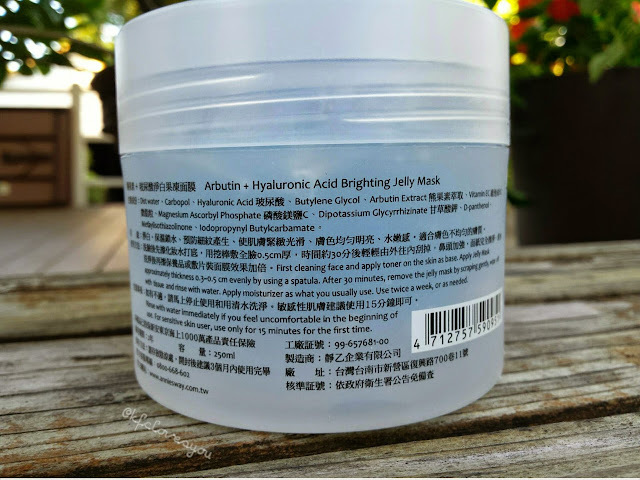 Overall, if you have dehydrated skin and you need a little something extra to plump it up and keep it hydrated, definitely check this Arbutin + Hyaluronic Acid Brighting Jelly Mask. If you have the time for a pamper session, then this would be perfect. However, this product is definitely more of a treat for you skin and not 100% necessary, especially if you don't have the time. 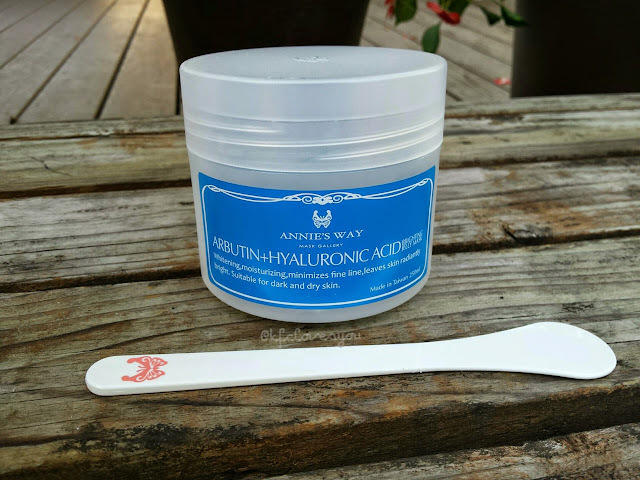 Since it does take longer to apply and can be messy, I would say a hyaluronic acid facial sheet mask would do the trick in half the time and without the mess, though it may just not be as effective as the jelly mask. 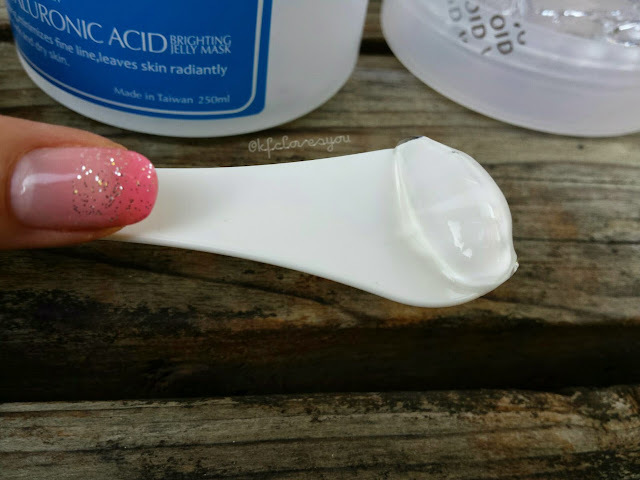 If you're a lover of hyaluronic acid products like me though, definitely give this one a try. For a face mask type product, it is fairly inexpensive at $21.90 considering the amount of product you get for it also--this will definitely last you a good amount of time! 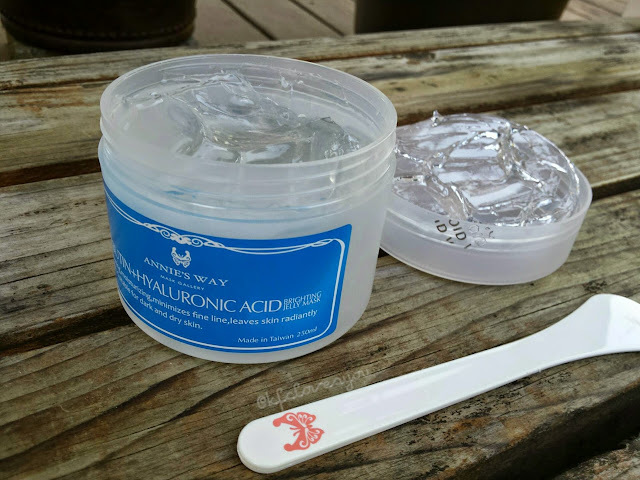 Have you tried Hyaluronoic Acid type products before? If so, did you like it? And what did you try out? Let me know!